Here in this article, we are going to show you tried and tested proven ways on how to start gala business in Nigeria. Sit back and read to the end. rolls in Nigeria is Gala. This is the same with Noodles which has been tagged with the name Indomie. This is because Gala is a popular company that is known to produce Sausage rolls in Nigeria. Regardless of this, You can still succeed in starting your own Sausage business. In this article, I will carefully explain to you how to start a sausage business in Nigeria, because it is a lucrative business and a good investment. Sausage roll business is a very lucrative business, along with other types of pastries. 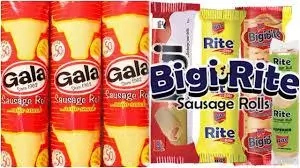 However, many Nigerians are familiar with the Gala brand, this is why every other type of sausage rolls are called Gala. One of the very unique properties of Gala business is that, You can make it in your home, yes, you can make it In your home after consulting with regulatory authorities, and getting the appropriate licenses to make and sell consumable goods in Nigeria. When it comes to the income you can get from starting a Gala business, I will quickly tell you a short story of how my aunt started her own popular brand across Onitsha, Awka and even Asaba. She started a sausage business in 2016 and after getting a NAFDAC accreditation number, she gave the business the name Chop 1 Chop 2. In no time, she was supplying it to almost half the women in the local market, and soon, word of her brand spread like wild fire and now she boasts of about 60,000 naira everyday net income, a civil servants monthly salary. Now that you know how lucrative the Gala business can be, it is time to explain the steps on how to start this business successfully. This is an obvious one. However, the point needs to be stressed for people who believe that, they can just employ individuals who will do that part of the business. If you run your Sausage business like this, you will have very little Idea of what your employees are making, and it may affect your brand negatively. It is important that you supervise the making of this sausage rolls, to make sure that every single one, has the brands unique taste (I will explain below). You can learn how to make Sausage rolls by attending bakery classes, or watching TV shows that teaches how to make Sausage rolls. This is a very important step before you even begin to move forward in your business. Your business will stand out properly when you have a unique taste. Everybody knows how Gala tastes, and everybody knows how Pepsi tastes. What I am trying to say is that, You need to figure out a taste for your sausage that will allow it stand out in the market. Experiment with different mixtures in your kitchen, be sure to write everyone of then down so that when you get your desired taste, you will know how to reapply it again. Always keep your recipe to yourself, and make sure that your future employees sign an undertaking not to reveal it to anyone, organization or press. If you plan on starting a major sausage making facility, I suggest you go for a much larger space. However, since I think you are just starting out, I advice that you get a small space or a flat in a clean environment ( I will explain why below). You do not want a cramped up working environment and at the same time you do not want to waste all your capital securing a bogus office. Write out your budget for the business you are about to start. 30％ should go to office space, 30％ should go to the purchase of working materials and machines, 20％ should be for the purchase of flour, egg, pork meat or fish and all other things you want to add, 10％ for the packaging materials and 10％ to secure a license. Other articles might tell you to ignore this step for the time been. However, I say you get a license and get it before you even start anything. 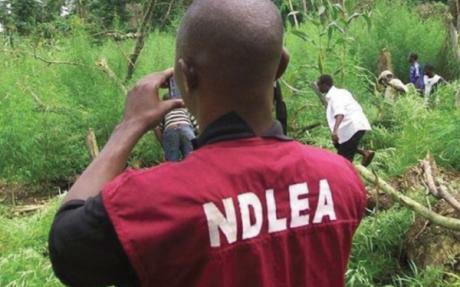 If you plan on operating beyond your local village or street market, get a license from NAFDAC. This is to ensure that you operate, expand your business with freedom and not face any form of harassments, from regulatory bodies in the long run. First of all, Visit any NAFDAC zonal office to begin the process. Usually, registration of your product with NAFDAC takes about 3 months, provided all requirements are met. An inspection of the factory will be conducted by the directorate of inspection, so make sure that all gutters, stagnant water, cobwebs and dusts are removed and cleanliness a watchword in your factory. You will then need to send a an application to Director of NAFDAC, including your name, product generic name i.e Sausage, and brand name. Check out the NAFDAC official website for more information on how to register your business and get a license. Now that you must have registered your business with NAFDAC, It is time to start making the sausage. It might be stressful working alone, so I suggest you employ one or two staffs for the mean time. Make sure that all sausages tastes the same way. A wise man once said, the packaging is everything in any product. It is very important to understand this concept before choosing a wrapper pack for your sausage. Choose something that has the ability to attract an adults eye and a childs heart. The colors Yellow, Red and Orange are known to catch the eye easily. Always include the expiry date on your product wrapper, Nigerians like to know what they are eating is still good. Take your finished products to the local market and try to sell it to them. It might seem difficult trying to convince the market women that a product like yours, will move market. However, if your sussage is great, this women will still be the same people to call you and ask for more supplies. If you sell each unit 60 naira to them, they woul likely add an extra forty naira for gain. You can also also advertise it on Instagram posts and Facebook promotions. Now that you are aware of how to start up a sausage/Gala business, I wish you Goodluck!